With 650 state universities wherein around 1, 65, 000 students come from 200 different countries, Russia has made its way among the top choices for students as an education destination and stands strong with highest literacy rate in the world (99.6%). Each year number of students ponders over various education destinations to pursue their higher studies. 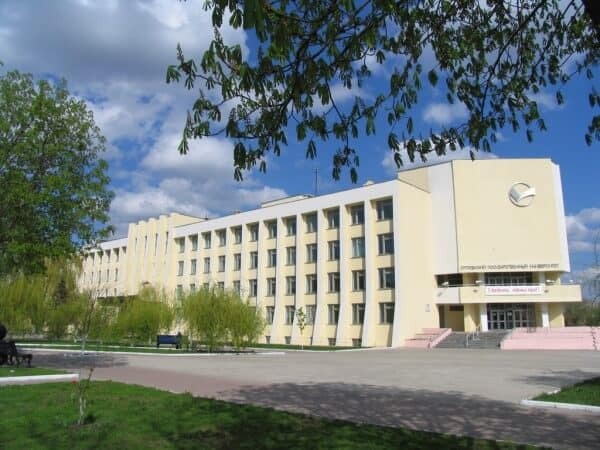 Russia with various courses to choose from stands among the top choices for education. A student can choose from the variety of courses like MBBS, Sports Medicine, Paediatrics, Dentistry, Pharmacy, Clinical Psychology, Economy, Business Informatics, Accounting, Banking Management, Civil Engineering, Electronic Engineering and many more. The different degree programs typically cost around ₹200,000 to ₹550,000 ($3000 to $8000) in tuition fees per year which may include expenses like hostel accommodation, study materials, etc. The exact cost varies depending on the major taken as well as the institution granting the degree. Higher education for foreign students in Russia is subsidized by the government. 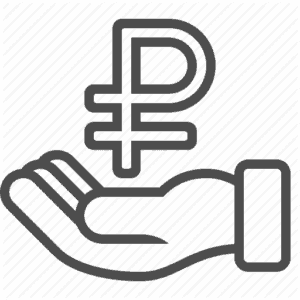 Adding another pillar of support for foreign student, the Ministry of Education and Science of Russia allocates Public Scholarships to Ministries of foreign countries and to Russian students studying abroad. Fees include Tuition Fee, Basic Hostel Fee, and Medical Insurance. There are usually two types of accommodation- hostel and off campus. Cost of hostel accommodation ranges from $30-$100 per month. 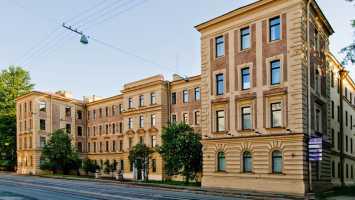 These dormitories are the most affordable option to spend your student life in Russia. Off-campus accommodation is usually on the high side and is between $150-$400 monthly depending on the region, type and location of the lodging (dormitory, rented room, or apartment). This is the most affordable option. International and out-of-town students are provided with dormitory places. Normally they are located on the campus or not far from the university. In most cases from 2 to 4 students share a room. In a typical dormitory room, you will find writing desks, chairs, closets, bookshelves, beds, and nightstands. University dormitories are normally equipped with shared kitchens, gyms, recreation rooms, canteens, and laundromats. There are also locker rooms and bicycle sheds available. A security service operates on the premises. The accommodation fee is set by the university. It may vary from 500 to 5,000 roubles per month (USD 8-80), depending on the university and the city, and makes it a much cheaper option compared to a rental apartment. Payments can be done on a monthly basis or per term. Sometimes you can even pay in advance for the whole academic year. In this case, some universities may offer you a discount. Dormitories offer payable or free Internet access. When you rent an apartment, you are usually asked to pay for Internet separately, about 300 to 500 roubles (USD 5-8) per month, depending on the region, provider and rate. If your university does not have a dormitory or for some reasons you don’t consider it as an option, then it is advisable to look for a rental apartment or room. Naturally, it will be more expensive, but you will be able to find a location and level of comfort that suits you. If you plan to rent an apartment with your fellow students or stay with a host family, you will be able to choose your neighbors. A medical insurance policy for students costs from 6,000 to 9,000 roubles (USD 100-150) a year. The insurance shall cover the entire education period, though universities request that policies are paid by the year or the semester. Food: If you are staying in hostel accommodation at times the food charges are also included in your hostel fee and if not in that case also you need to spend for food in the range between ₹60,000 to ₹100,000 per year. But in major cities like Moscow, St Petersburg, Kazan, Vladivostok, and Yekaterinburg, etc, it might be somewhere between ₹150,000 to ₹200,000 per year. According to official information, the minimum shopping basket (including bread, pasta, meat, fish, vegetables, fruit, milk, and sugar) in Russia costs from 3,500 to 5,000 roubles (USD 58-83) a month depending on the region. Russians estimate their monthly meal expenses to fall between 8,000 and 20,000 roubles (USD 130 to 330). Much depends on the region where people live and what and where they buy (corner shop, supermarket, market) . A single journey on the Moscow subway costs 55 roubles (about USD 1), while a 20-journey travel card costs 720 roubles (USD 12). Using a student discount one can get a monthly Moscow underground card for 380 roubles (USD 6), the cost is even lower in other cities. Moscow theatre tickets cost from 500 to 2,500 roubles (USD 8-41) and cinema tickets, 150 to 500 roubles (USD 2,5-8). A museum costs 100 to 1,000 roubles (USD 1,5-16).Many cultural centers offer discounts for students, and some museums can be visited free with a valid student card. The average cost of a monthly pass to fitness centers varies from 1,700 to 4,500 roubles (USD 26-75) in Moscow and from 1,500 to 3,400 roubles (USD 13-56) in other regions. When you buy an annual pass, the average monthly cost will be lower. A monthly swimming pool pass costs 300 to 500 roubles (USD 5-8) in Moscow and less elsewhere. Many universities have their own gyms, swimming pools, and sports centers where services are cheaper than in the city or even free for university students. Miscellaneous expenses: This is something really necessary for those students who are living alone. You should keep a safe budget of ₹10,000 to ₹20,000 in your account as an emergency fund, which you can use in medical emergency and other unavoidable urgent reasons. This is something which totally depends upon your lifestyle. This is kind of your monthly spending budget on your food and entertainment and other personal needs. Therefore, this cost may vary person-to-person.